Here is our list of fabulous things to do in West Palm Beach, Florida, on vacation. West Palm Beach offers an enormous amount of exciting activities to enhance your vacation experience. Enjoy sea and sun, sailing and scuba diving. Explore museums and thought-provoking theatre. Taste exotic traditional food and learn about haunted buildings. You can explore the city on foot or on a Segway. You can walk, run and hike in magnificent landscaped parks and relax in stunning botanical gardens. A unique way to explore sunny Florida is to join a food tour! 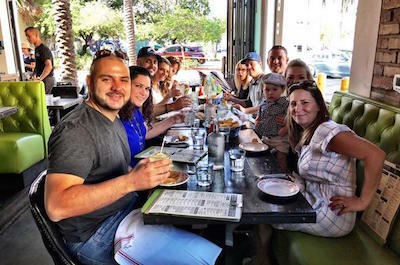 Get set to tempt your taste buds and learn all about the culture and history of this fascinating venue, it is an exciting thing to do in West Palm Beach. Join the Downtown Tour and begin with a FIKA Ð a traditional Swedish coffee break. Taste a delectable Ahi Tuna Tostada full of fresh tangy mango and sip a Cuban Prosecco Mojito. Then enjoy Pan Con Tomate, toast rubbed with garlic accompanied by a fresh tomato dipping sauce. This small-group tour stops at an award winning pizza restaurant and allows you meet a world famous Chef! Stroll along a street full of art and munch on a Cuban sandwich. End your day with a refreshing cool creamy Key Lime Tart. For some adult fun, the Party Bike Pub Crawl will take you to some of the most popular bars and clubs in the Downtown area. 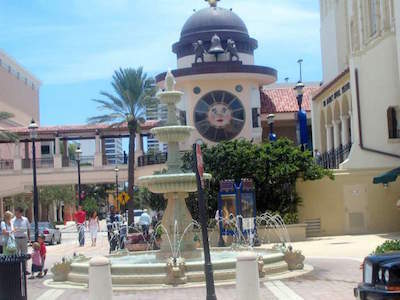 Pedal around and visit the famous CityPlace and Clematis Street. Stop off at hot spots and meet the locals while you enjoy your favourite cocktail. The pedibus can accommodate up to 15 people, making this a fun experience for a group of friends. For water sports lovers who want to experience some of the best fishing the world has to offer Ð joining a tour is a not-to-be-missed thing to do in West Palm Beach. 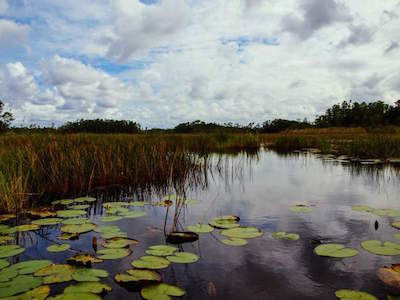 Explore Lake Okeechobee, known world-wide for the large-mouth bass. The tour is led by an experienced Captain and all tackle and safety equipment is provided. Beginners will be given fishing instructions and casting lessons and the experts can learn some advanced techniques. Also on offer is a half day or full day tour to catch Peacock Bass in the calm waters. Sail on a 21 foot boat with a professional Captain and try your luck at snagging the big one. 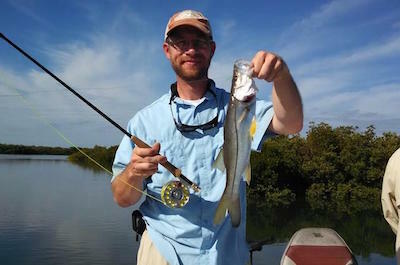 Then head off to explore the inter-coastal and backwaters of the Indian River Lagoon near Vero Beach which has an abundance of Spotted Sea Trout, Snook, Redfish and Mangrove Snapper. Sail out and enjoy the stunning scenery before casting off and waiting for that tug on your line! Rods, reels, tackle and safety equipment is provided. Whether you are a starter or a professional, you cannot miss out on the amazing fishing opportunities that this region has to offer. If you have never ridden on a Segway before, now is the time to do it! This is a fun thing to do in West Palm Beach and is suitable for all ages and levels of fitness. 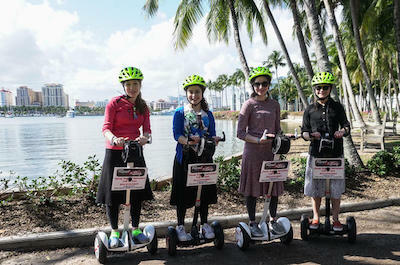 Join the Private Segway Adventure, a fun activity that is designed specifically for your group. Your guide will take you anywhere you want as he tells you fascinating facts and stories about the region. After meeting at the Meyers Amphitheatre, you will have a quick safety lesson on how to drive the two-wheel bike. Put on your helmets, simply step onto the scooter's platform, lean forward and you are rolling off at a leisurely pace, enjoying the sights! Follow your guide past famous land marks, see the luxurious yachts and multi-million dollar mansions. If you want to add some extra fun, take the trip at night, when the city sparkles with glittering lights! This private tour can be customized to suit your preferences and makes a great family bonding experience. If you have time to spend and want to relax in style, enjoying a fabulous 2-Night Bahamas cruise getaway is the perfect thing to do in West Palm Beach. Head to the Port of Palm Beach and board the luxury vessel. Meet other guests and enjoy a delicious buffet lunch. The fun starts immediately with an international wine tasting session, Martini tasting or just chilling out around the sparkling blue pool. Then wave to onlookers as the ship sets sail! 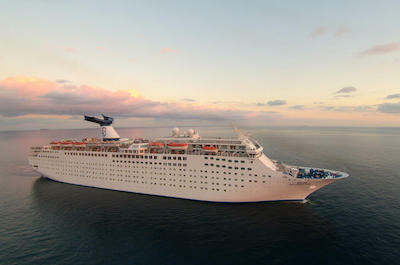 Spend the afternoon enjoying the sail-away party and other activities. Night one offers a 4-course meal in the restaurant or a culinary experience at the club. Then be entertained by a Las Vegas variety show, try your hand at the Casino, relax in one of the lounges and listen to live music, dance the night away indoors or outdoors! In the morning you will arrive in Grand Bahamas and have a fun-filled day which includes swimming with the dolphins, snorkeling, a Jeep Island tour and time to relax at the world class beach resort. When evening falls, tempt your taste buds at different restaurant and try out your singing skills at karaoke, or just sip an exotic cocktail and enjoy the show! The ship arrives back early the next morning, have breakfast before disembarking, knowing that you have the whole day ahead to enjoy West Palm Beach. Water sports lovers will be enchanted by the amazing choice of things to do in West Palm Beach. Start with a Waverunner trip, a fun and super fast Jet Ski that will have you exploring the Riviera Beach Marina and Florida shoreline in a one or two hour ride. Take along your swim suit so you can stop and jump off for a dip. Another fun option is the Console Boat which can accommodate up to 6 people and is ideal for a family or group of friends. Sail around the shoreline for up to 8 hours, plenty of time to be on the water. 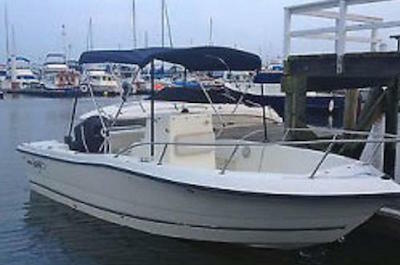 For something bigger, you can rent a 22 foot Pontoon boat, ideal for up to 12 passengers. Set sail out to the open waters and enjoy a day of sailing, dipping and relaxing as you explore the coastline. Seeing the cityscape, bridges and famous landmarks from the water makes an unforgettable adventure! Pack your own picnic basket and refreshments to take along. These leisurely trips offer different durations to best suit your time availability. Want some spine-tingling eerie thrills? Joining a Ghost Tour is a fun and hair-raising thing to do in West Palm Beach. This spooky tour lasts for one and half hours and will take you exploring the haunted streets on foot. Meet your knowledgeable guide at the south east Corner of Worth Avenue and South County Road at 8.00pm. After getting to know fellow-walkers, set off and follow your guide along the dark streets. Listen to stories and scandalous tales on this adult paranormal adventure. He will tell you about the ghostly patrons of Palm Beach with stories about Gucci, Chanel and Saks Fifth Avenue. Learn about legends like John Lennon, Michael Jackson and John F. Kennedy. The lovely day-time ocean breeze takes on a whole new spooky ambiance as you wander around the back roads of the deserted city! McCarthy's Wildlife Sanctuary is definitely a great day outing and offers another fabulous family thing to do in West Palm Beach. This world famous Sanctuary is the No 1 rated attraction and cannot be missed. Here you will see over 200 animals that are rare and unique and not usually seen in zoos or on safari rides. The facility rescues and rehabilitates animals from the region as well as from all over the globe. See an amazing collection of snakes, view tarantulas and a 12 foot long albino python. Also on display are eastern diamondback rattlesnakes, rhino vipers, gila monsters, bearded lizards and more. Stroll around the walkways and snap photos of squirrels, owls and even panthers. See the clinics where animals are healed and admire the massive flight centres where they can learn to fly again after being injured. Kids can interact and touch some of the creatures. Booking is a must for this truly amazing family experience. No vacation is complete without some serious retail therapy and a visit to CityPlace is the next recommended thing to do in West Palm Beach. Head to South Rosemary Avenue in Downtown West Palm Beach for a day of shopping, eating and entertainment in this upscale lifestyle center. Here you will find world famous stores like Adore, Anthropologie, Victoria's Secret, Bath & Body Works and more. Enjoy the Mediterranean and Venetian inspired dŽcor as you stroll around and admire the squares, arcades and promenades that feature water fountains and lush landscaping. The Harriet Himmel Theater which was originally a Methodist church, is situated at the center of CityPlace. It was originally built in 1926 and has been upgraded with a $6 million refurbishment to make it a world class cultural center. Enjoy a meal at a cafŽ, pub or fine-dining establishment, there are over 30 fabulous venues to choose from. Take in a live music show, browse a farmers market, see a night snowfall exhibit and soak up the atmosphere! Shopping in one of the most beautiful venues in the country is the next thing to do in West Palm Beach. Worth Avenue exudes class, style, enchantment and grace and makes a wonderful day outing. Here you will find romantic Ôvias' or little side streets, filled with creeping vines, colorful pots of flowers and bubbling fountains. Sit on a stone bench and soak up the ambiance. Then explore the stores, there are an abundance of celebrated boutiques offering designer fashion, gifts, accessories, antiques and art. Find home furnishings and eye wear, treat yourself to a little black number or a designer swim suit. The venue is filled with historical glamour and old world charm. Be pampered at the Eau Palm Beach Resort & Spa and enjoy a meal at Ta-boo' Restaurant. 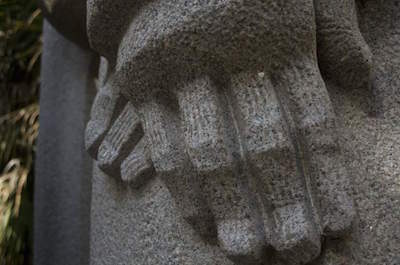 You can also join a walking tour that will teach you about the history of the Avenue. Then enjoy a symphony or an art class. There is something for everyone! If you're up for an animal encounter like no other in the world, a visit to the Palm Beach Zoo is the thing to do in West Palm Beach! Located at Dreyer park, this world famous venue is a not-for-profit organization that also includes a Conservation Society. 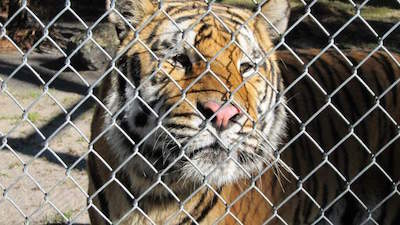 The Zoo is home to over 550 animals belonging to 190 species. 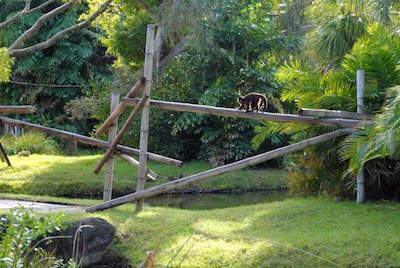 It covers 23 acres of the most magnificent lush tropical gardens and offers a haven for many endangered species. Take the family and set off for a day to be remembered. You can learn all about the conservation of the Amazon Jungles and how the great white sharks are tracked. Learn how wildlife films are made, including underwater scenes involving dangerous sharks! Get involved in the Save the Panther campaign when you discover that there are only 200 left on the planet. Kids will be enthralled to learn all about massive birds like owls and vultures while floating on a stage in the middle of Baker Lake! There are special events for Easter, Christmas and Thanksgiving. So, no matter what time of the year you visit, you will always be thrilled. Strolling around a world class art gallery, the Norton Museum of Art, is an uplifting and soul-inspiring thing to do in West Palm Beach. This venue was founded and named after Ralph H Norton in 1941. During his marriage, he and his wife accumulated a large and rare collection of art including paintings and sculptures. Norton was an entrepreneur who created the Acme Steel Company and contributed an immense amount of time, knowledge and funding to the development of the region. The Museum houses over 7000 works of art divided up into collections of European, American, Chinese, Contemporary and Photographic displays. Enjoy special events that focus on specific artists and art genres. Take a tour and learn about the various exhibitions with a knowledgeable guide or walk around at your own pace with the smartphone app to guide you. Children can take part in themed tours followed by a related hands-on art workshop. Private tours are also available. 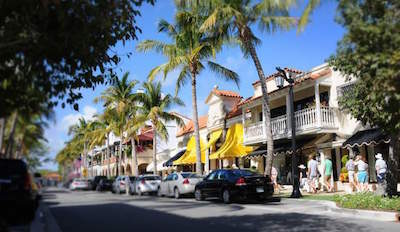 West Palm Beach Clematis Street forms the iconic historical heart of Downtown. Here you can experience the indigenous ambiance of colorful boutiques, live music, nightclubs, restaurants, quaint antique shops and famous historical landmarks. On one side of the street you will see waterfront views and sparkling fountains. On the other are an abundance of pubs, clubs and delicious food! Riding on the free trolley and discovering this famous street is a fun thing to do in West Palm Beach. The history of the street, like most of West Palm Beach is deeply connected to Henry Flagler and originally connected the ferry to Palm Beach Island on the east to the train station on the west in the early 20th century. As the area grew, it became one of the busiest and trendiest streets Downtown. You can take a food tour or a history tour, walk or bike. You can shop till you drop and eat anything from burgers to a fine-dining meal. There are special events all year round, sun festivals, boat festivals and a weekly Thursday night live music and food event. Not to be missed. After all the shopping and eating, heading out into the wild and exploring nature is the next recommended thing to do in West Palm Beach. 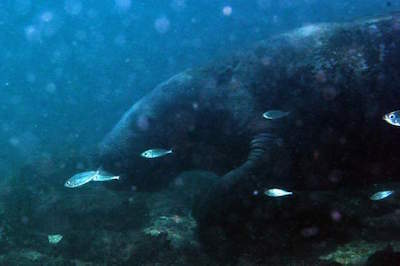 The vision of Manatee Lagoon is to educate the public about the famous manatees and the Lake Worth Lagoon. They also work to inspire the local communities to protect and preserve the environment and wildlife of Florida for future generations. Take the whole family for an educational and fun filled day outing. Meet Mascot Mia, the huge manatee and learn how she travels the world on her migration route from north to south. Get up close and personal and interact with these amazing creatures with the cutting-edge hands-on exhibits. Kids can have their faces painted, read stories from colorful books and take part in art classes related to manatees and their habitat. Parents can relax and enjoy a yoga session on one of the decks overlooking the lake. The friendly staff are professionals who delight in answering any questions you have about these very special, endangered creatures. Taking advantage of the fabulous sunny weather is the next best thing do in West Palm Beach. 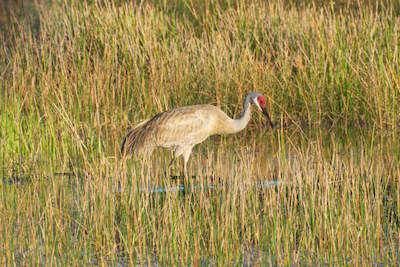 Set off to Okeeheelee Park where you will find a multitude of activities for the family to enjoy. This huge Park is located on Forest Hill Boulevard and offers baseball fields, BMX tracks, a boat launching jetty, disc golf, an equestrian center and more. Cyclists, walkers and runners can enjoy a scenic four mile long trail and fishing enthusiasts can cast off from the pier and try their luck. There are lovely picnic areas with shelters for relaxing and enjoying some family bonding time. If you feel like doing some more exercise, rent a kayak, peddle boat or canoe. You can also join a volley game or even have a water skiing lesson. Visit the Nature Center and see a beautiful Butterfly Garden and a marsh with viewing platforms. Inside the Center are animal exhibits, educational tours and interactive displays that will delight the kids. If Dad wants some time out, he can play a round on the 27 hole golf course! If you enjoy botanical gardens, then a visit to the Mounts Botanical Garden is another fabulous thing to do in West Palm Beach. This Garden is the largest and oldest botanical garden open to the public in the region. Its history goes way back when the University of Florida ran special programs to provide free education on agriculture to the locals. Come along and learn all about the fun, creativity and art of gardening! Exhibits range from commercial, to public and home landscapes and this stunning setting is suitable for the whole family. Wander around and see a Floating Garden and a Bergonia Garden. Children can have fun in the Maze, finding their way to the middle and back out again. The magnificent Butterfly Garden will leave you breathless and the Wall of Well Being will open your mind to a healthier lifestyle. In total, this 14 acre living plant museum offers 23 different and ever changing gardens to explore. The Garden was named in honor of Marvin Mounts who worked with the Palm Beach County farmers for more than 40 years, caring for fruit trees that provided natural food and a source of vitamins that was cheap and easily obtainable. Looking for an arts and culture venue to explore? 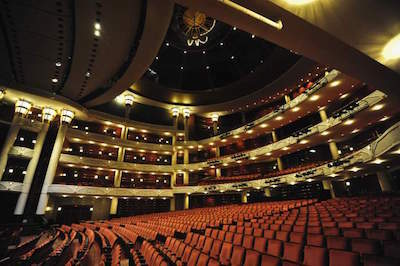 A visit to the Kravis Center for the Performing Arts is a definite thing to do in West Palm Beach. 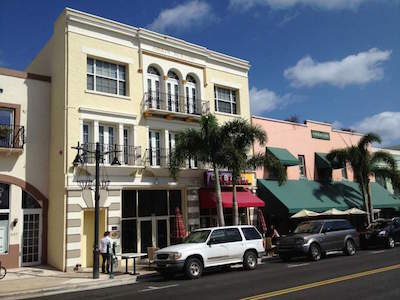 This non-profit professional performing arts center is located in Downtown West Palm Beach. 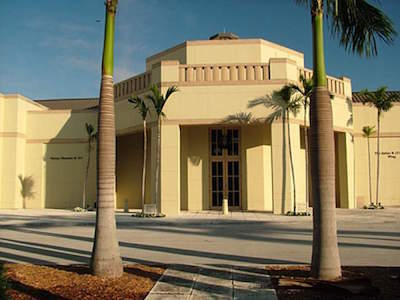 The Palm Beach Council of Arts was created in 1978 by Alexander W. Dreyfoos Jr. After receiving a number of extremely generous donations, the Center was built and opened in 1992 showcasing a gala ceremony with performances by Burt Reynolds, Ella Fitzgerald and other famous stars. The venue offers 4 different facilities and hosts a huge number of events throughout the year with special programs for schools, minorities and community groups. See Howie Mandel, David Foster and Renee Fleming. Listen to a symphony or visit an art gallery. There are also special programs for the younger generation. You can easily get to the Center by using the fun and free Trolley service that runs between CityPlace and Clematis Street and stops at the traffic circle on the east side of Dreyfoos Hall. How about seeing live alligators in their natural setting? This is a family-fun thing to do in West Palm Beach. Grassy Waters Preserve is a wetland region covering 23 square miles. It is part of a natural eco-system that provides fresh water to the City of West Palm Beach. This stunning landscape offers pristine wetlands, small islands covered with trees, forested hammocks, rivers and marshy lakes. There are fabulous natural trails to explore of varying lengths for all levels of fitness. An abundance of wildlife live here, including the Everglades snail kite, white ibis, great blue heron, wood stork, otter, white tailed deer, alligators and bobcats. Come along and get immersed in nature! Take a tour with a professional hands-on expert. You can follow your guide on a canoe trip or a hike. Learn about the preservation of fresh water and how it is supplied to hundreds of thousands of people in the region. Make sure you snap some photos of the famous alligators basking in the sun! 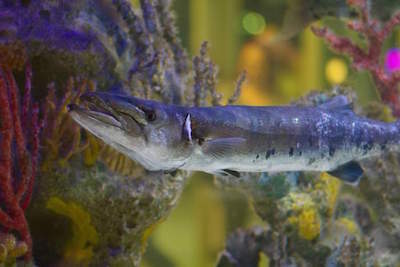 The South Florida Science Center and Aquarium will intrigue both kids and adult minds! A day of exploring is a rich and entertaining thing to do in West Palm Beach. 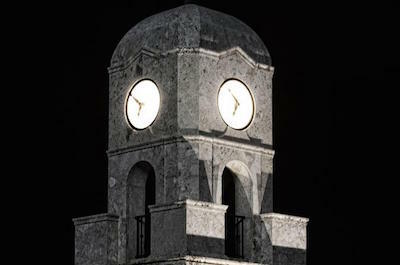 The Center was established in 1959 by the Junior League of the Palm Beaches. It opened in 1961 as an environment dedicated to learning about natural science and natural history. In 1964, the Planetarium was opened, dedicated by, and named after, the famous astronaut Buzz Aldrin. Bring the kids along to explore Night at the Museum, a fun-filled experience leaning about science at night. See a Laser Light show and try your hand at solving some heavy math problems. Then become a space explorer and experience the physical and mental challenges involved in Astronaut training! This is an amazing hands-on science exhibition allowing you to find out what it means to leave the Earth and head for unknown space! Events change all the time, check the calendar for the latest programs. Nature and art lovers will be enchanted at the Ann Norton Sculpture Gardens. A visit is one of the next awe-inspiring things to do in West Palm Beach. The Gardens were originally part of an early pioneer settlement known as Lake Worth. An early settler, Benjamin Lanehart, built a small log cabin here in 1875 and planted pineapples and avocados on this spot. Today the Gardens offer a sanctuary for locals and tourists to explore, relax and rejuvenate body and mind. The studio has a display of Ann Norton's larger-than-life models, monumental works in granite, brick and cedar wood. See an exhibition dedicated to British artist Gordon Cheung which incorporates his ancestral ties to Hong Kong. Learn about the work of Israeli-born Boaz Vaadia, who fashions sculptures by carving and stacking stones that he finds in the area surrounding his New York studio. Wander through the lush tropical gardens and come across statues hidden amongst the green growth. Then visit the Caterpillar Garden, preserving a species that was almost extinct. Also in the Gardens are over 250 rare palm species, cycads and unusual tropical plants. Make a day of it! Feel the thrill of the race and the swishing spin of the roulette wheel at our next fabulous thing to do in West Palm Beach. Spend a day at the famous Kennel Club and rub shoulders with the movers and shakers. This iconic landmark goes as far back as 1932 when the first racing season lasted for a mere 38 days. It has grown over the years with major financial input and today is one of the most prestigious clubs in the USA. Watch rare breeds of Greyhounds as they race around the track and perhaps place a bet or two! Then head for the Casino where you can try your hand at poker or roulette. Games range from small bets to gigantic $1000 bets if you are brave enough. After the rush of the wheel, enjoy a refined dinner and a glass of vintage wine at the Paddock Restaurant or sip an exotic cocktail with appetizers at the vibey Terrace Restaurant. If you are a car enthusiast there is a fabulous treat waiting for you! A visit to the Automobile Museum makes a great day outing and will keep you enthralled with its 8000 square feet of everything-on-wheels. Head to 420 Claremore Drive between Okeechobee Boulevard and Belvedere Road. The facility opened in 1980 in a garage with just 3 cars. It then expanded to become a world class facility showcasing vintage cars, the history of the motor car and special events. Whether you are a professional collector of rare cars or just want to have some fun, this is a thing to do in West Palm Beach that cannot be missed. See a 1966 Chevrolet Corvette and a 156 Ford Sunliner. Admire the classic 1973 Ford Mustang Convertible. Then explore the vintage memorabilia and buy a little gift to take home as a memento. Getting a taste of one of the most sumptuous houses ever built' is a not-to-be-missed thing to do in West Palm Beach. The Henry Morrison Flagler Museum was completed in 1902 and was proclaimed by the New York Herald as grander than any private dwelling in the world'! Take a tour and explore this magnificent venue. It offers changing exhibits and special programs, so you can certainly visit more than once. This historic landmark was the home of Henry Morrison Flagler, an American industrialist and a founder of Standard Oil, the largest and most profitable corporation in the world for over a century. He was also a key figure in the development of the Atlantic coast of Florida. Learn all about a wide range of subjects from air travel to oriental art, Tiffany Lamps and rail roads. The exhibitions are diverse and beautifully presented. There are special events for children and even grandparents! Check the calendar for up-to-date information. A rare experience for those with a love of arts and culture. Want to expand your mind and think out-of-the-box? Spending an evening at the Palm Beach Dramaworks is the way to do it! This venue is a professional non-profit theatre company that engages with audiences through provocative and meaningful productions that will impact on the lives of each individual viewer. The venue was founded in 2000 and prides itself on offering classic, contemporary and niche style plays that are designed to challenge and engage your mind. William Hayes is one of the founding members of Palm Beach Dramaworks. He won the 2017 Richard G. Fallon Award for Excellence in Professional Theatre. Watch a production of Billy and Me, the spine-chilling Equus or the tear-jerking On Golden Pond. Listen to the unique Dramalogue, a series that offers conversations with world famous entertainers, artists and stars of the stage. Discover new, up and coming writers and actors and be part of an incredible thought-provoking experience. The theatre is also heavily involved with the local community, schools and other educational facilities. If you only have time for one last life-changing thing to do in West Palm Beach, a trip to Pura Vida Divers, Singer Island, is a must. Learn how to scuba dive with the professionals and get up close and personal with the amazing marine life that inhabits these unique eco-systems. Lessons are designed to provide you with a professional and recognized certificate and are carried out by certified instructors with years of experience. The world's best brands of diving equipment are available to rent and try out before you buy, allowing you to choose what suits you best. Dive at Blue Heron Bridge, named in 2013 as the best dive site in the world. See seahorses and pipefish, octopus, frogfish and stargazers. Then try something way-out and enjoy a night dive at the Black Water Drift. See creatures that only come out at night in search of food, like fluorescent-colored eels, jellyfish and squid. If you are serious about diving, it doesn't get better than this! Just when you think you have seen it all, there is yet another wonderful and uplifting thing to do in West Palm Beach! Bethesda by the Sea is a vibrant community with a magnificent Church at its center, providing guidance, love and support. Visit this awe-inspiring venue and take part in a Sunday Service. Their mission includes a love for God and one's neighbors, nurturing family, critical thinking, fellowship and serving the community whenever possible. The original church built on this site was made from washed up drift wood and from old packing boxes. It was used for the first time in 1889 and seated 100 people. As needs grew, so did the Church and today this magnificent iconic structure is a sight to behold. Wander around and admire the beautiful stained glass windows that will fill you with awe as the sun illuminates the brilliant colors. Stroll in the tranquil Cluett Memorial Garden, offering peace and a time to reflect. Listen to the choir and an organ recital Ð this rare hand built instrument has over 6000 pipes! One may not think of a garden when looking for things to do in West Palm Beach, but a day outing at the The Four Arts Botanical Gardens will leave your mind and body rejuvenated. This stunning Garden is was established in 1938. 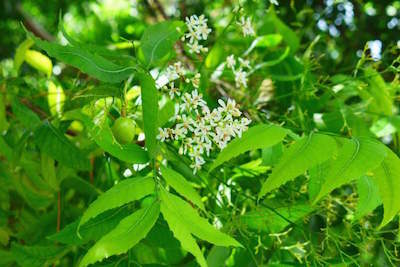 Its mission was to show off the diverse range of tropical plants that locals could cultivate in the unique climate of south Florida. The initial concept was to help new residents establish gardens and grow vegetables and fruit. The venue offers tours, educational programs, films, talks and exhibitions. There is also a library and a special children's library. Wander around, take a tour and discover the beautiful Philip Hulitar Sculpture Garden, where you will find strategically placed statues amongst the natural foliage, creating a stunning outdoor museum. Enjoy the pergolas and the large garden pavilion where you can relax in a magnificent setting. The 700 seater auditorium offers concerts, live opera and a host of world class shows throughout the year. Getting wet and wild is a super fun thing to do in West Palm Beach. Ride the waves and the rapids, slide and bump, soar and plunge, all in the water! A perfect day outing for the family. How about trying out Big Thunder, a dark tunnel with a 45 degree drop that makes your stomach lurch? Then head to the Black Thunder where you plunge in total darkness, only for the brave! The Brain Drain offers two 70 foot high flume water slides where you enter a launching capsule and fall downwards at exhilarating speeds. If you still want more, try the Rapids Racer or the Ranging Rapids. Criss Crossing is a fun activity for the family where you jump across the water using slippery, floating objects and an over-head net. The 30 acre park also includes a wave pool, small slides for toddlers and a lazy river for those who prefer to drift around the park and watch others get wet! Plan to come more than once to experience all the heart-stopping attractions.